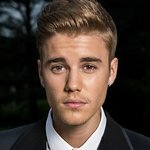 The lock of hair Justin Bieber gave Ellen DeGeneres last week has sold for US$40,668, with proceeds going to charity. As reported by LookToTheStars.org, Ellen was presented the hair by the teen singer to benefit The Gentle Barn, which offers a home to needy animals and a place where at-risk children can feel safe and understood. The eBay auction attracted 98 bids. In other Bieber charity news, the 17-year-old’s campaign to raise $17,000 on his birthday for charity:water earlier this week has already smashed his target. Bieber fans have donated $45,169 to the initiative in only a few days.